My Challenge To You: Your Life In Six Words-Up for It? If you get value from Wrestling Possums, then I ask you to do me one favor: reply to this post. Inundate me with responses. What I want you to do though is a bit freaky. Be warned. It might confront you. I want you to imagine that you will die in ten minutes time. Here’s why. Ernest Hemingway was once challenged to write a book, but only in six words. He did it. “For sale: baby shoes; never worn.” That’s the power of storytelling. 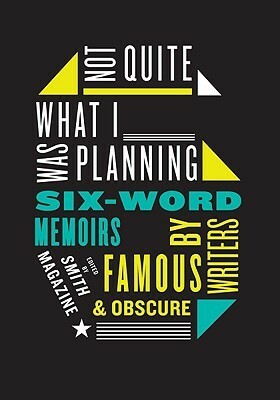 This apparently led a couple of guys who founded Smith Magazine to develop the ‘Six Word Memoir’ concept…writing your memoirs in just six words. So, imagine you’ll expire (sorry about that) in 10 minutes time. You pick up a pen to write your life story, your memoirs. But you only have six words to do it in. Give it a go. If you feel inclined, respond on the link at the end and share it. I’ll tell you mine. You tell me yours. Deal? Here’s mine. I read a great one recently, in the obituary of Nora Ephron, journalist, novelist, screenwriter… think Heartburn, When Harry Met Sally, Silkwood). Asked to write her autobiography in six words, her response was: “Secret to life: marry an Italian.” I love that! Turn your computer off. Close the door. Think quietly. Doodle some words…maybe make a long list of words that describe who you are, what you have done, what you’ve brought, what your life has been. Then shape your memoir, in six words. And send it to me. 111 Responses to My Challenge To You: Your Life In Six Words-Up for It? I learned humility the hard way. Life motto. No guts, no glory. Sought wisdom and fought good fights. Laughed and got on with it. Strived for excellence, hope it worked. They weren’t wrinkles. They were laugh-lines. Success without failing first, is luck. Procrastination doesn’t make problems go away. Delighted in the road less travelled. So much seen. So much unseen. Authentic Contributor. Created, changed, loved, inspired. Invisible then loved: purpose, fulfillment, happiness. Imagination beats knowledge, action conquers dreams. If behind think ahead and engage. Good Dad. Good Creative. Humbled Rogue. Memory suficates creativity: imaginatiom delivers possibilities. Trust God. Live, learn & act. Risks were worth taking. Forever alive. she never missed a chance to laugh. What’s Past. What’s Now. What’s Next. Still a country boy at heart. Hyper start. Slow down. Pressure up. Tried every thing once. Then again. Worked hard. Played harder. Rinse. Repeat. Battled the dream. Lived the dream. Why? What if? Come with me. left footsteps. made stories. loving father. by the way Chris, this is a very paradigm changing story you write. Thanks. Lived and loved; tried everything once. Loved a chat. Didn’t die wondering. Got knocked down. Got back up. Laughed, Cried, Cared, Lived & Shared. One noble soul wrestling with circumstance. It’s great to grow up. Took a trip. Never came back. First passport. Bye safety. Lookout world! Potential. Realised? Time would have told. Wow, that was an uncomfortable exercise, but thanks Chris. Rowed merrily…life is a dream. Big heart, said yes; found love! You want it make it happen! Loved life. Remained true to himself. That was a ride! Love y’all! I was asked to speak to my alma mater today – St George Academy, a high school on the Lower East Side of New York City. I wanted to get across a message about values / moral compass and its relationship to personal success. So, it was tremendously timely to get your blog / 6 words technique which I duly applied with the high school kids. They really seemed to enjoy doing it. So, it’s with gratitude that I thank you for posting / your leadership. Running never changed anything, staying did. Pursuing love was always worth it. Kept perspective and made it count. Life fulfilled. Friend. Lover. Explorer. Clown! Loved, wrote, looked, heard,smelt, felt. Irreverent introvert. Mum, mentor, magician! Simply Never Gave Up,That’s It. truly loved a few important people. Laughed, knowing we still have tomorrow. Retire knowing you were your best. Fired my story; love leads now. Aim high, stay grounded. Service. Family. Closed eyes, let go and jumped. Worried too much what others thought. That was quick! – Take notes! Always felt loved. Am forever grateful. Guided by change, growth, love and intuition. When ambition beats integrity, you lose. The people were everything. Bursting love. Immigrant son. Repatriated. Success in motherland. Simplied the complex, complicated the simple. Love and question everything but regret. Lived, learned, questioned, loved. Succeeded? Kept going until they stopped me. Explore Yesterday. Encouraged Today. Empowerment Tomorrow. Ran fast, played hard, loving it. Policing with poetry. Living with integrity. Helped people grow. Made magic happen. Help people Dream, Make them SMILE! Energetically inspired personal purpose, moved on. You are going home with me! Who am I to judge myself?